Manchester: the Complete Guide to the City, is the most authoritative guide to the city for visitors or residents. 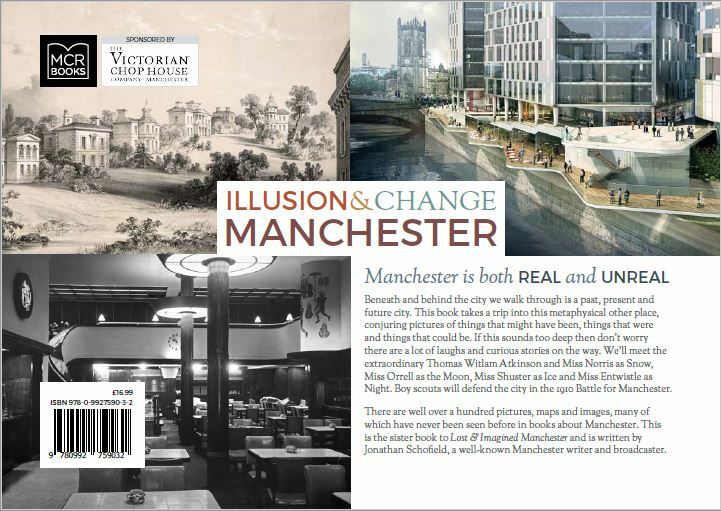 It has become the bestselling guidebook to Manchester in the city’s history and has been thoroughly updated and revised. This new edition has almost 100 additional pages. 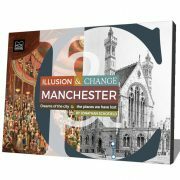 The book looks at Manchester’s past, present and future, it describes the main monuments, museums and galleries while also providing full information on where to stay, eat, drink, dance, watch sport or shop. There are several walking itineraries, including new ones, and recommendations for excursions. Biographies of key citizens and episodes in Manchester’s lively history are revealed, again in an extended section. 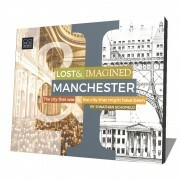 The editor and principal writer of this book is Jonathan Schofield, a well-known Manchester guide, writer and broadcaster. To follow Manchester Books Limited on Twitter, click here. Buy here £11.99 + P&P click here. 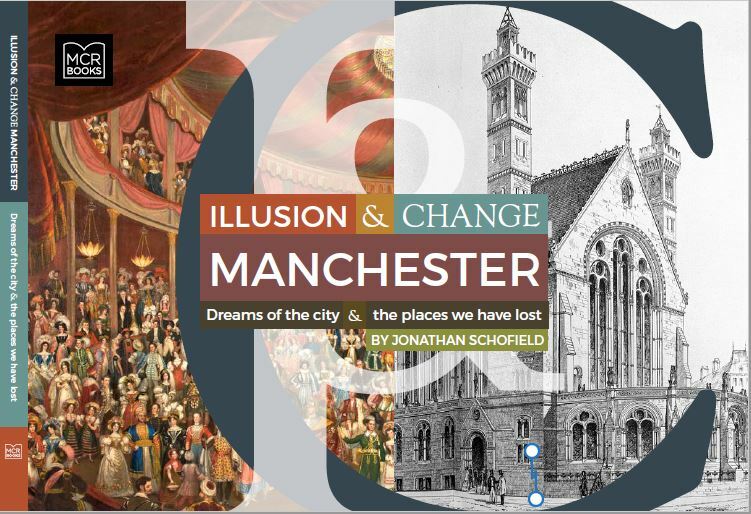 Illusion & Change Manchester, the latest book by Jonathan Schofield, the acclaimed Manchester author, guide and broadcaster, is available now. Beneath and behind the city we walk through is a past, present and future city. This book takes a trip into this metaphysical other place, conjuring pictures of things that might have been, things that were and things that could be. There are more than fifty buildings and schemes covered in the book. Some made international news such as the rebuild after the IRA bomb in 1996. Others were sensations such as when Picasso’s Guernica appeared in a Manchester garage in 1939. There are halls, sculptures, commercial buildings, churches, shops, underground canals, bridges, theatres, views, valleys, cliffs and the story of the changing skyline. 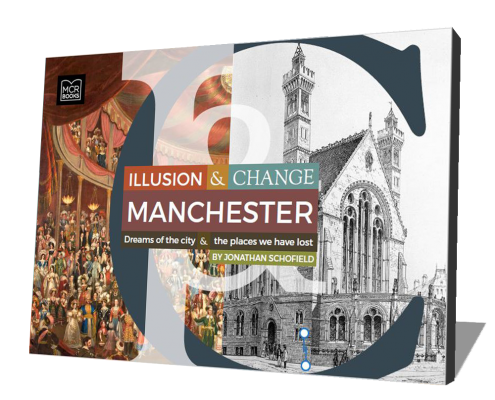 Illusion and Change is the sister of Lost & Imagined Manchester which came out in November 2015 and is being reprinted after becoming Waterstones best-selling Manchester book and selling out in seven months. To purchase a copy of the book online for just £16.99 + P&P click here. To follow Manchester Books Limited on Twitter, click here. 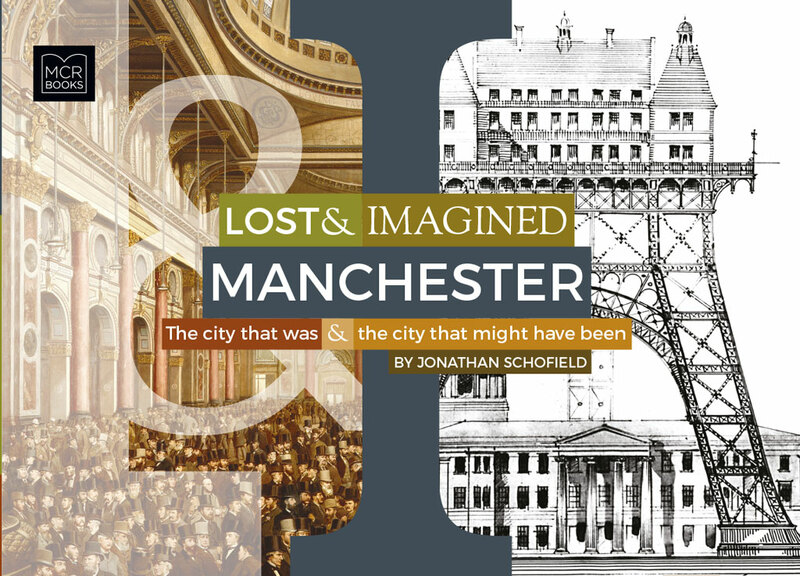 Lost & Imagined Manchester, the latest book by acclaimed author Jonathan Schofield, the well-known Manchester guide, writer and broadcaster, is available now. 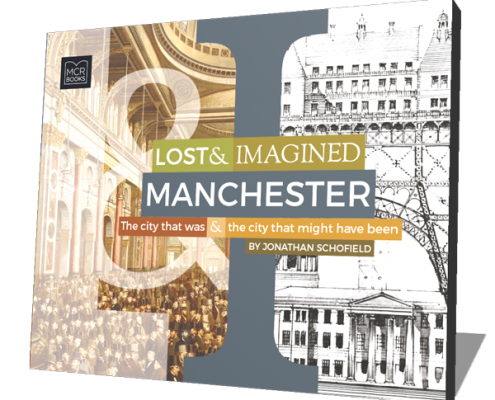 It tells the story of more than fifty lost and imagined buildings and projects in Manchester, including some of the grandest buildings and plans ever dreamt up in the UK but also more modest buildings that go to the heart of city life. Expect cathedrals, castles, palaces, pubs, race courses, skyscrapers, stadiums and even the apocalypse. There are surprises throughout, complete with a lively and witty text. The book provides fascination and interest as standard. To purchase a copy of the book online for just £16.99 + P&P click here. ©2013-18 Manchester Books Limited. All rights reserved.